Leveraging on our vast industrial experience, we fabricate and export finest quality pre treatment plants. The product range receives appreciation for its corrosion resistance, durability, sturdy construction, and efficient performance over a longer run. We have the ability to customize the product as per specific requirements of our clients. We are engaged in the manufacture and export of high quality wastewater Clarifiers. These products are used in various industries and it works on the process of clarification. This process is done in rectangular or circular basins, where the wastewater is held to allow particulate solids to settle out of the suspension. The size of settling basin is decided on parameters of over flow rate (surface settling rate), tank depth at the sidewall and detention time. 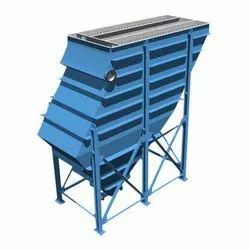 Design ensures laminar, stable flow and excellent effluent quality. Occupies 1/10th of space required by conventional clarifiers. No moving parts, thereby minimizing the maintenance problems. 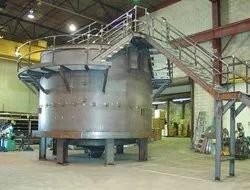 Sludge thickener zone having four slopped hopper bottom completely replaces the extra thickness. Maximum effective settling area per m2 of the plate area due to better hydraulic distribution and collection arrangement. A single operator without the need to shutdown the unit, drain the tank contents and disassemble any tank internals can easily remove each individual lamella plate. The plate can be easily slide up for inspection and maintenance as required. Each plate is constructed of a FRP corrosion resistant material. It can be operated for any length of time continuously without shutdown. Lamella does not build-up deposits and there is no specific frequency of cleaning required and thereby minimizing the maintenance problems. The Thin layer of sludge formed on each plate picks up the fine flocs present in water, which is rising up. Looking for Pre Treatment Plants ?